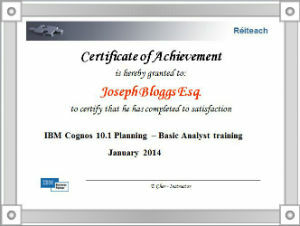 Hands-on user instruction is a major value-add for your IBM Cognos Planning implementation. Both new and experienced users can master best-practice concepts and skills for planning, budgeting, forecasting, modelling, and reporting. Réiteach offers regularly scheduled courses in Dublin as well as on-site instruction where the classroom comes to you. Group sessions are also available for up to 5 users. 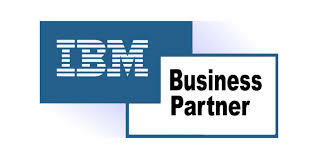 All training is carried out by our team of IBM Cognos certified consultants. The courses provided are listed below. This three-day course covers how to design and build models, and how to create flowcharts of models to perform business planning. Attendees will learn the data modeling process and participate in hands-on demos and workshops that illustrate good model design and best practice techniques while learning how to use the product. This three-day course covers how to build, deploy and administer Contributor applications. In particular, the course covers developing the Contributor application (based on a IBM Cognos Planning – Analyst model), creating the Contributor Web site, managing security and performing administration tasks, such as importing data. This course also contains a case study that helps participants further develop their skills as they create and administer a Contributor application. Technical Administration an instructor-led course that combines lecture material and hands-on practice in installing, administering, and troubleshooting IBM Cognos Planning - Analyst and IBM Cognos Planning - Contributor. The course outlines how the architecture of both products can be customized to fit into various infrastructures. Students will also learn how to integrate IBM Cognos Planning with existing IBM Cognos Business Intelligence (BI) applications and to implement security through Access Manager. FastTrack is a five-day, instructor-led accelerated course that starts with a conceptual overview of Analyst and continues with hands-on practice of simple functionality to complex modeling techniques. Once modeling in Analyst has been completed, you will learn the role that Contributor plays in the planning process, and the steps required to design, build and deploy Contributor applications. In addition to lectures and workshops, there will be a case study exercise to continue the learning process.